DNR and Evergreen Mountain Bike Alliance are celebrating a new 1.8-mile trail in Tiger Mountain State Forest on Oct. 24. Join us to share a pig roast BBQ and celebrate the official opening of Predator Trail, an expert-only technical and challenging descent. The Predator Trail, 1.8 miles in length, is Tiger Mountain’s newest trail. Photo/ DNR. Directions: From Issaquah, go east on I-90 to exit 25. Turn right to SR-18. Go 4.5 miles to Tiger Summit. Turn right. Take Westside Road left .3 miles to the site on the right. 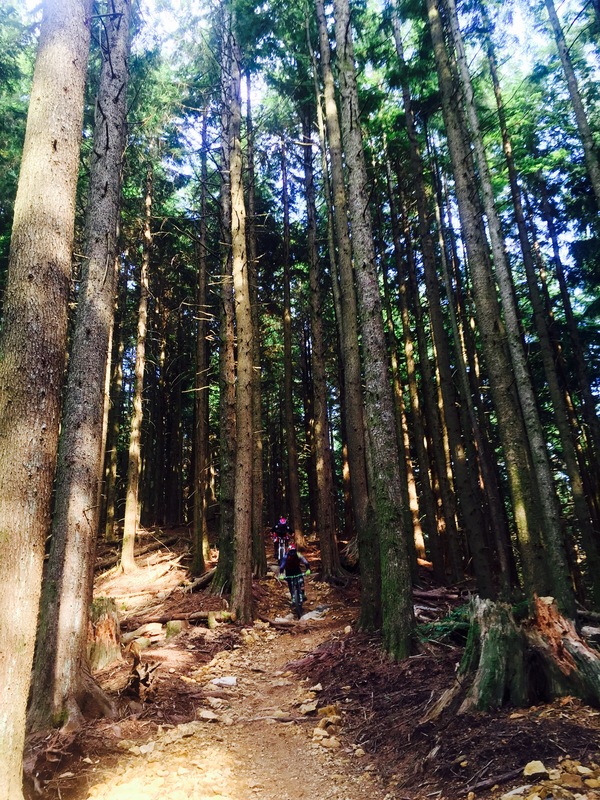 Named after the tiger, an apex predator at the top of the food chain, the Predator Trail is Tiger Mountain’s newest and most difficult trail. The new trail addition boosts the east Tiger Mountain State Forest mountain bike trail system to nearly 17 miles in total length. This one-way descent is full of rock-armored steeps, with some tight turns over fast and undulating terrain packed with obstacles that will keep even highly skilled riders challenged. View a map of the new trail. Check back with us on our Facebook and Twitter pages for more information about the event. For more information about recreation on Tiger Mountain, visit our website. To start planning your next mountain bike ride, click on trailheads on our new statewide interactive recreation map.